Find emails from first name, last name and company name (or domain). 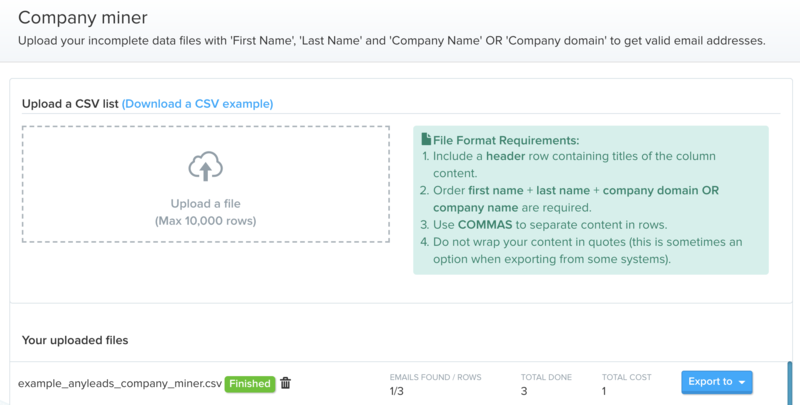 Upload a CSV and get emails in Excel or CSV. Upload a sample file with the first name, last name and company name in order to discover the email of each contact. Once you have uploaded your CSV you will be able to download a file with emails of each contact.